During the summer, Nintendo unveiled a little something that's sure to be a big hit this holiday season, the NES Classic Edition. The "console" shaped like a classic NES would come preloaded with 30 titles from the olden days, like Legend of Zelda and Super Mario Bros 3, and include modern connection ports so you can hook it up to your TV and relive your youthful gaming days. 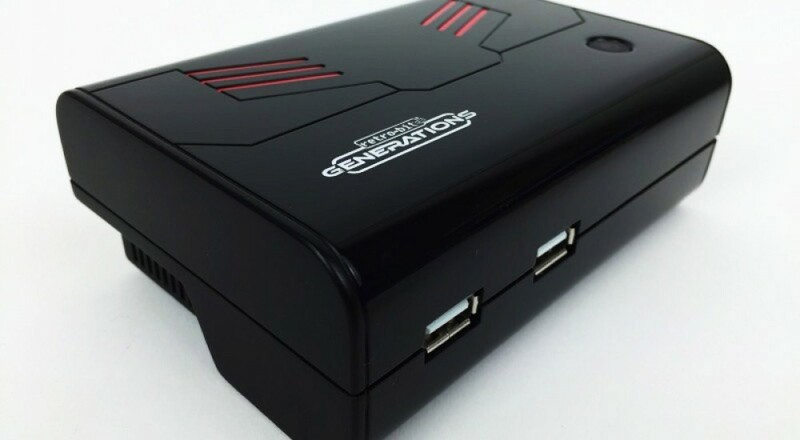 Retro-Bit, who has been putting out emulation consoles that let you play your old cartridges, has recently announced a similar product, the Retro-Bit Generations. The Generations console, unlike the other products Retro-Bit produces, will actually come preloaded with 96 games that were largely arcade releases, some of which are local co-op titles (Captain Commando, 1942, and 1943), though there are a few Nintendo, Super Nintendo, Genesis and even Game Boy games on the list as well. The system itself, which isn't much bigger than an old Genesis controller, will have two USB ports on the front and two USB six-button controllers for all your couch co-op needs, an HDMI port (a first for Retro-Bit consoles), and a slot for an SD card so you can save and transfer game progress. The Generations console has no set release date, though it's expected to be sometime this fall, and will retail for $60. You can check out the full list of games, and some good insights about Retro-Bit Consoles as a whole from retro-gaming expert Jeremy Parish, over at USGamer. Page created in 0.5766 seconds.